Tax Dispute - FAR - Farahat Office & Co. The federal taxation systems in the country make somethings go towards betterment. The tax paid by the residents makes the governments work for the betterment of the countries. In UAE, federal tax authority has also introduced the federal taxation system. In 2018, Value Added Tax was introduced in the UAE. For the people in UAE, it has been made mandatory to pay all the taxes on time. Creating the corporate tax at the federal level will play a part in the favor of UAE because in this way UAE will be able to fund the national budget while creating a better environment for the people in UAE. For the conduction of audits, determining tax evasion, ordering penalties etc., the tax procedure laws have been established. Because of tax procedure law, it will become easier for the UAE’s government to review the tax proceedings of the companies. This law provides an outline to the people and to the government to make sure that all the people comply with the rules and regulations made by the federal tax authority. The main duty of the federal tax authority (FTA)is to carry out the tax audits. For this purpose, expert and fluent Arabic and English speakers have been hired in order to conduct the audit process in an expert manner. It is to be noted here that the audit can be performed on anyone by FTA. It is not necessary for the person to hold a registration number for the audit. The basic reason behind the audit is to check whether or not the people are complying with federal tax law or not. At least 5 days before conducting the audit, the FTA informs the person or the company. If FTA wants, it can close the business for up to 72 hours. The business is closed so that nothing may hinder the process of conducting the audit. Note that the business cannot be closed until or unless the Director General of the FTA approves of the closure. Also, the business closure can be extended from 72 hours as well if the public prosecutor approves of it. 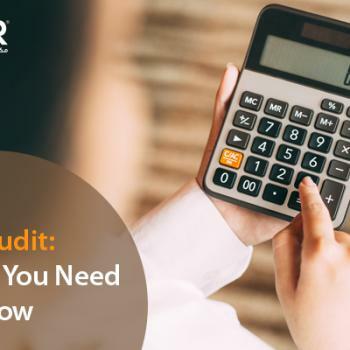 What happens during the tax audit? FTA obtains the original records or the copies of it for conducting the audit. FTA also has the authority to seize the business or the company. It can take stocks and can conduct experiments on the stock as well. The audited person and their tax agents may be present at the situation when the audit is being carried out. During the audit, all the tax procedures are kept into consideration in order to make sure that everything is going according to the laws and orders set by FTA. So, the people must take care of the fact that when FTA asks them about their records, they have to present them in front of them no matter what. Those who do not pay tax or may shortfall in any of the tax assessments may be issued penalties by FTA. Administrative penalties may be of AED 500. The penalty may not be more than 3 times the amount of unpaid tax. If the penalty is stricter, it may be 5 times of the amount of unpaid tax. If any person thinks that the decision taken by FTA has been unfair or there were any pitfalls in the decision taken, they may apply for reconsideration. For this purpose, all that the person needs to do is to file an application for the sake of consideration within 5 days of the decisions. The decision is made within 20 days of application and then the applicant is informed within 5 days of the decision. If the amount by TDRC is less than AED 100,000, it is to be considered final but for the amount greater than that can be appealed to the federal court. The application for judicial appeal should be filed within 20 days of the decision of TDRC. The decision then filed will be considered final and will not be proceeded any further. You can get more information and guidelines from Farahat and Co. regarding VAT and tax disputes. You can always take help from us and follow the rules and regulations in the UAE.